London Zoo is the world’s oldest scientific zoo located at the heart of London, in Regent’s Park, opened on 27 April 1828 and managed by the Zoological Society of London. London Zoo houses a collection of 806 species of animal and 19,178 individuals making it the largest collection of animals in the UK. It is a perfect choice for family trip in London for people who are animal lovers. Our London Airport Transfers provides its executive car services to London Zoo and offers a joyful ride. Day out at London Zoo is a wonderful array of displays and activities which takes places daily. It is a home of 806 animal species, lots of exciting exhibitions & pretty heritage buildings. Few of activities which you can see or do are Otter feeding time, getting a glimpse of the big cats in Tiger Territory, Land of Lions, watching as Penguin Beach comes live. Originally London Zoo is intended for scientific Study. It has many long-term breeding programs as well as extensive education programs. It will be one of the capital’s great day out and a place where you can fall in love with your favorite animals at ZSL London Zoo. Near the entrance we can find the aquarium. It is world’s very first aquarium opened at London Zoo in 1853, which is huge and has 3 halls. Also, the Reptile House where Harry Potter spoke to a snake, and Gorilla Kingdom which brings you up close to a group of Western lowland Gorillas. Kids and adults will be enthralled by Butterfly Paradise, where butterflies wager freely, and there are creepy crawlies in BUGS! There are plenty of opportunities to feed or groom sheep and goats in the Touch Zone, but don’t miss George, the scarlet macaw, who is likely to upstage everything else in the daily animals in action live show. There is a playground within the zoo which is probably aimed at children under 5s and 5-14 years old. Lots for them to climb on, up and under! This is a great space to let the kids go wild so you can enjoy your picnic lunch. There’s a carousel too. There’s one main restaurant, the Terrace Restaurant and also food outlets around the zoo serving cold food and hot and cold drinks. There are lots of toilets around the zoo complex, so we don’t have to wait long to come across another one! Clean, and no queues! All toilets have baby-changing stations. London Zoo has a good access for wheelchairs, prams etc. There are manual wheel chairs available at entrance. There is no hire charge, but you pay a deposit, which is refunded on return of the wheelchair. It is strongly recommended that you book a wheelchair in advance. The main gift shop is in Barclay Court near The Terrace Restaurant. They sell lots of things for all ages and price ranges, with plenty of ‘pocket money’ toys. There is another shop near the Old Penguin Pool and Animal Adventure which is usually much quieter. 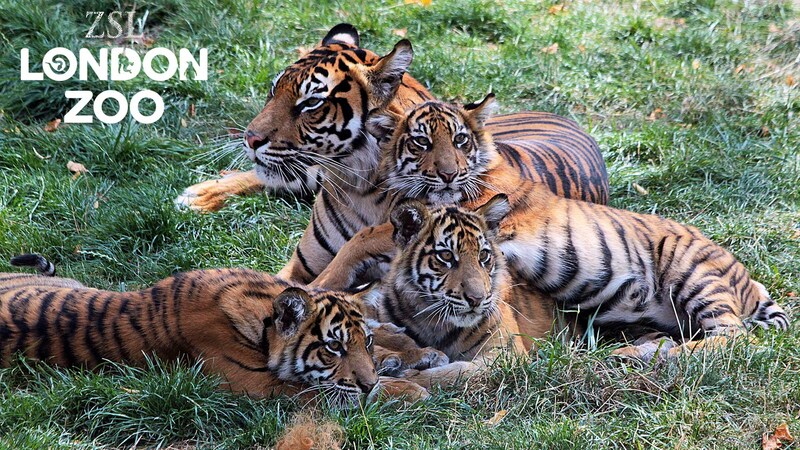 London Zoo provides easy access of transportation to all its visitors from all major airport terminals. Our London Airport Transfers provides its executive car services 24*7 at affordable prices. Depending on your requirements, we have a fleet of cars suitable for group of travelers or individual. We offer our professional services to make you reach London Zoo comfortably. Pre-book our airport transfer services to ensure safe and enjoyable ride to London Zoo from all airports of London. From London city airport to London Zoo it takes approx. 59 min to reach as it is 12.9 miles away from London Zoo via A501. It takes approx. 59 min to reach London Zoo from Heathrow airport, it is 26.7 miles away via A40. The distance from Gatwick airport to London Zoo is 43.5 miles via A3 and approx. it takes 1hour 27 min to reach. From Southend airport approx. it takes 1hour 43mins to reach London Zoo as it is 44.4 miles away via A13. To reach Stansted airport approx. it takes 1hour 8min from London Zoo and it is 36.4 miles away via M11. From London Zoo to Luton airport, the distance is 31.2 miles via M1 and approx. it takes 49 min to reach.